Hello everyone, interesting charger for 4 Tello batteries. Has anyone bought and used one of these charging hubs yet? Alright, finally arrived today! 20 minutes in and the hub is quite warm on one side, batteries just feel like room temperature. I have a charger being delivered soon. Great to see the unit works OK. Interesting that the Tello batteries are standard LIPOs which are 3.7/4.2V and based upon the specs shown on the bottom of the unit this charger looks like it is set up for LIHV batteries which are 3.8/4.35V. It seems to me this charger is set up to over charge the Tello LIPOs which in the best case scenario will damage them to the point of shortening their useful life, but in the worst case scenario could potentially start a LIPO fire. I think I'll be steering clear of this one. The Tello battery is marked “Max Charge Voltage 4.35V” I’m using it and I’m very happy with it so far. My only concern (as with all genetic Chinese electronics) will it last. I see that now. The original PDF user guide that I downloaded before I actually received my Tello stated the battery was a 4.2 but now that I have my Tello and looked at the battery I see it is in fact a LIHV battery. The newer version of the manual has also been updated to correct that spec. I've been using mine for over a month now with zero problems. Even tho this charger still charges one battery at a time, it sure beats swapping them in and out of the drone. It may be my imagination, but it seems to be a bit faster as well. So, if it’s charging one at a time, why would they make it 4 Amp and devide it? I have several multi port chargers that devide the amperage and both ports are active at the same time. The DJI charging hubs are one at a time, but they are multi-port hubs using a separate charger, where this is a multi-port charger which would make it faster. I’m not saying I’m asking. Good point. Perhaps I was just making a unfounded assumption. In the next few days I’ll try to find time to do a little experimenting. 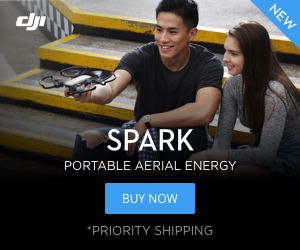 I fly my Mavic Air & Spark more than the Tello so maybe that was influencing my thinking. I also have this charger from YX, and it does charge all the batteries at the same time. I also have the 5 in 1 Mavic charger, this company produces good chargers that lasts forever, and works with no problems. Do you have a link for the 5 in 1 Mavic charger?